The multi-hyphenate artist was nominated for five Grammy awards and won four of them. Not just any four though, the rapper won awards for Best Music Video, Song of the Year, Best Rap/Sung Performance and Record of the Year, for "This Is America." According to Billboard, it was the first rap song to win Record of the Year and Song of the Year. It was a huge history-making night for Childish Gambino and everyone was there to witness it except for the man of the hour himself. According to Pitchfork, the last time an artist won any of the big four awards (Song, Record and Album of the Year, Best New Artist) and wasn't present to accept was Amy Winehouse at the 2007 Grammys, because of a denied visa. But even she was buzzed in via satellite to accept the awards herself. The 35-year-old rapper (who is also a comedian) was nowhere to be found on Grammy Sunday even though he was spotted just a couple days prior at Ludwig Göransson's pre-Grammy party on Thursday. He was even pictured debuting his new blond beard. Maybe this was all a joke? Or a statement like the one he made with the "This is America" video? 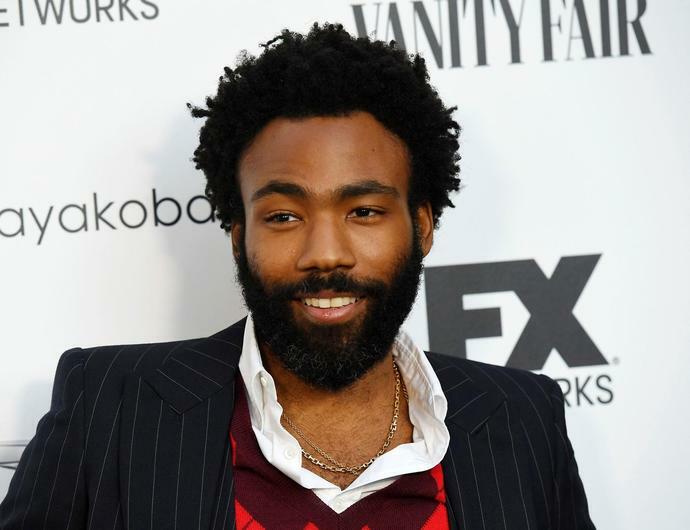 Goransson, who co-wrote "This is America," accepted the award but when asked by reporters where Gambino was, even he had no idea. "I haven't talked to him yet, but I'm going to call him after the award show and I'm sure we're going to have a little conversation," Goransson told reporters following the win. The rest of "This is America" team who talked to reporters backstage also had no idea. Riley Mackin, who also worked on the song, said he's not sure where Gambino was either. "The last time I've seen him was a couple days ago and he walked out and I haven't seen him since," Mackin told reporters. "I think anything Donald does is a little strange." Gambino's Twitter account is also bare and there are only three posts on his Instagram account. USA TODAY has reached out to Glover's representatives to see if they know where he is - no word yet.